Congratulations to Alexis McMullen. All second graders in Mrs Walsh's class have been working on posters for a poster contest for the national school bus safety in art class. This poster contest is sponsored by the Illinois Association for Pupil Transportation and Secretary of State Jesse White. High school students helped vote on these and hands down, Alexis was the winner. 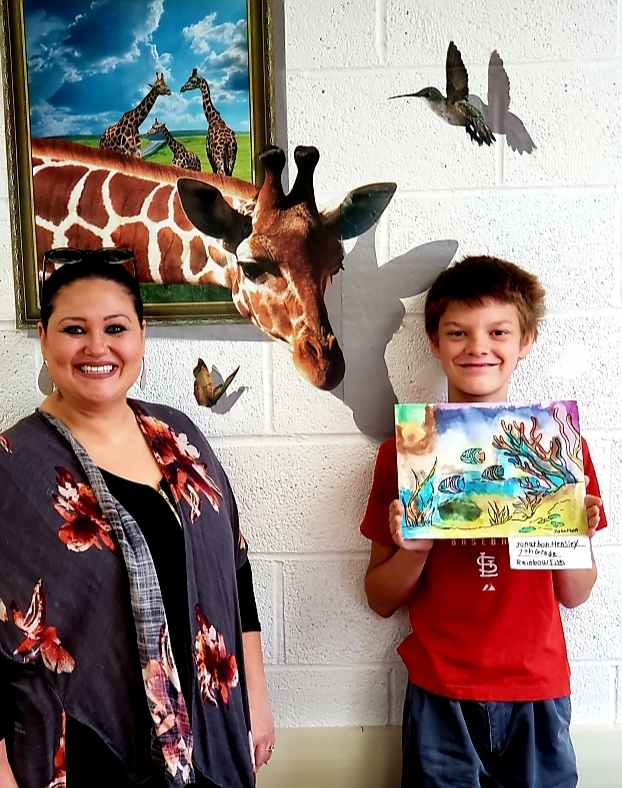 Alexis's artwork will now be sent and judge at the IAPT conference in East Peoria on June 18th through 19th of 2019. We wish her artwork the best of luck. We are so proud of you! Great job Alexis!